Gold has been the most appreciated metal for a long time. It is naturally present in the nature. It is easy to excavate and to work with. It is the most malleable and ductile metal known. 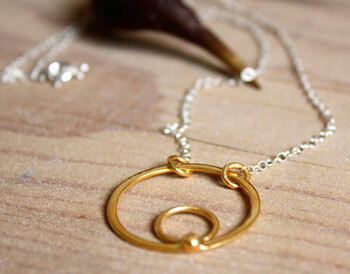 Moreover, gold do not oxidize and do not lose its shininess, even after a long time in water. With one gram, you can make a gold leaf of about a square meter, just by hammering it. More than being a rare metal, it is its yellow golden color reminding of the sun that seduced men. It is therefore linked to religion and beliefs in different civilizations. It is one of the most divine symbols. Its name comes from the Latin Aurum or "dawn" from which was created its chemical symbol, Au. Gold would come from stars that would have been depositing the metal on earth for billions of years. In English, the word Gold is used and it comes from the Indo European Ghelh "shine, being green or yellow" that gave Gulpa in the proto-German language. People have been fascinated so much by gold throughout history that it is impossible to tell the whole story here. We will only talk about the most important facts about this metal. Gold is the second metal that was discovered by man after copper. It has been used since the Chalcolithic period. The oldest known gold object dates back to the end of the 5th millenary B.C and comes from the necropolis of Varna in Bulgaria. At the beginning, gold was mainly used as a set, more especially once it was linked to the sun. It is quite true for Egyptians who would use gold as amulets and whose Pharaohs would accumulate treasures in their graves. The most famous example is the treasure of the grave of Tutankhamen which was estimated with more than one ton of pure gold. His mask only would weigh 11 kilos. They would consider that gold was the flesh of gods, and more particularly of Ra. It was also the symbol of eternity. Gold was therefore very important for Egyptians and due to its rarity; they would take a lot of risks to find it, more especially in deserted places or by conquering new territories. It is also in Egypt that the oldest traces of gold use in medicine were found, about 5000 years ago. They would consider that swallowing gold was good for the spiritual purification, as well as for the mind and the body. It was therefore common to drink a gold elixir that was meant to embellish the body and to rejuvenate it. Gold was also used for dental care. The first gold money appeared in Libya between the 8th and the 6th century B.C. It was an alloy made of gold and silver (electrum) stamped with a lion head. It was first time gold was taken out of the temple or the palace for a civil use. This habit then spread to Persia, Greece and to the whole antique Mediterranean area. The most famous king of Libya is a symbol of richness. It was the famous Croesus (596-547 B.C.). He took advantage of the auriferous sands of the Bonanza River that allowed him to become famous thanks to very important offerings to Greek temples. He financed the reconstruction of Artemis temple in Ephesus (one of the seven wonders of the antique world). He offered a fortune to Delphos' sanctuary such as 3000 animals, gold beds, gold cups, 100 bricks of pure gold, two bowls to mix wine and water, a gold lion… according to Herodotus. Greeks would bury their dead with a gold coin in the mouth. Dice the time of Mycenaean palaces, gold is a very important thing among the treasures of noble graves. You could find a great variety of figurines, masks, cups, diadems and jewels. Next to the Black Sea, we would have located the place where Jason and the Argonauts went to look for the Golden Fleece. Actually, it would be a sheepskin that was used to filter water and to collect gold glitter. This system with a sheepskin was reported by the Greek geographer, Strabon. One of the most famous legends about gold is the one of the king of Phrygia, Midas. Around 800 B.C., his biggest desire was to be the richest and the most powerful king of the world. Midas received a friend of the god Dionysus and he treated him so well that the god decided to offer him a wish. Midas asked the god to have the gift of transforming everything he would touch into gold. He first was very happy with being so rich. But he ended understanding that even food could transform itself into gold and started to regret his wish. In order to free him, Dionysus sent him to wash his hands in the Bonanza River and transformed the alluvium of the river into gold and freed him from the malediction. Gold was also very important for Romans. The famous consul Crassus was known for his richness and for his desire to find more and more gold. He became a prisoner of the Parthian king Surena. According to the legend, in order to kill him, he would have melted gold in his throat. Pline the Old was very conscious of human folly for gold. In his Historia Naturalis, he said that gold was the first human folly, and money, the second. Since the Middle Ages, alchemists tried to transform lead or mercury in gold. They thought they would achieve this goal thanks to the Philosopher’s stone. 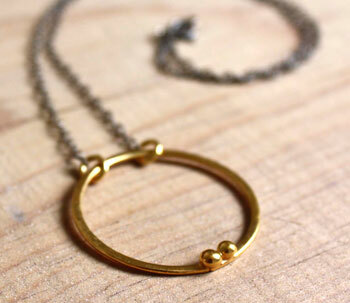 In alchemy, gold symbol is represented by a dot with a circle around. God was also considered as a medicine as it was thought that something so beautiful could not harm people. German people would bury their dead with a gold coin in the mouth. Gold was also the compensation tax that was asked by the German code, the Wergild or "price of man". This sum was asked to a murderer, or for another big crime. Vikings invented a tax that was called Danegeld or "the Danish gold" that submissive states had to pay to avoid attacks. In the Bible, gold is mentioned several times even if in Exodus; gold is associated to idolatry with the famous golden calf. It can be found in different cultural objects like in the temple of Jerusalem: menorah, cups, the Ark of the Covenant… In the Catholic religion, the word halo which is used to describe the circle showing holiness comes from the word "aureola" that is "gold" in Latin. In the New Testament, the Magi bring gold to Jesus. In the Book of Revelations, Christ appears to John among 7 gold candelabras and there is also an angel pouring incense with a gold shovel. Chinese also matched gold with the sun symbol and then being the Yang element. Therefore, silver which was the symbol of the moon was the Yin. When they get married, Chinese women traditionally wear a lot of gold to bring luck and happiness to their marriage. Gold is quite important in Buddhism. For example, the famous gold Buddha from Bangkok is more than 3 meters tall and weighs about 5.5 tons. It is the biggest gold statue in the world. For Hinduisms, the Lakshmi goddess is particularly linked to gold. It is often represented with coins falling from her hands to jars. She represents richness, economy and gold. In March, when people celebrate her day, Hinduisms wear gold to honor her. Gold hunting was one of the reasons of the conquest of America. Hernan Cortes conquered the Aztec empire in Mexico because he wanted to take the emperor’s gold. He sent a large part of it to Spain to finance the country's wars. The legend of the El Dorado appeared as soon as the conquest of America started. It was then around the 1850's that the gold rush appeared in California. It motivated the Western conquest. For Incas, gold was the sweat of the sun, whereas silver was the tears of the moon. The famous treasure of Blackbeard remains undiscovered. He sailed the seas from 1716 to 1718. The location of his treasures disappeared with him when he was captured and killed. Gold was still used as money until 1973. From 1870, gold has been used as a standard for currencies, first in England and then all around the world. This system ends with the First World War and was replaced by the dollar. In 1976, the USA ends the convertibility of the dollar into gold. This was the last time gold was used as money. Traditionally, gold symbolizes the 50th anniversary for your marriage. The main use of gold is hoarding. Central banks of every country keep a large quantity of it to ensure the monetary stability of these countries. Because it is a conductive and resistant metal, gold is used in electronics. Gold is used in odontology because it is resistant to oxidation. Gold reflects quite well electromagnetic rays such as visible light, infrareds or radio wave. Therefore, it is used to protect satellites as well as the equipment of astronauts and some war planes. Gold can also be found in food. It is identified by the number E175. It can be present as a sheet, flakes or dust to decorate fine food and drinks. 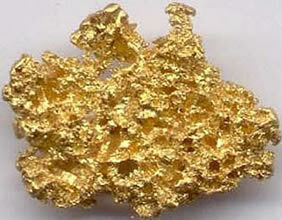 Gold is also present in medicine, especially for arthritis treatments. Mines: China, Australia, South Africa, the USA, Russia and Peru. It would increase the quality of the stones it is associated with. Gold would strengthen the nervous and digestive systems. It would help to balance the hormone system. Gold is effective for arthritis problems. It would fight UV problems and would help sunspots and aging signs to disappear. Gold would protect the skin. It would be efficient with treatments concerning autism, tuberculosis, dyslexia, heart, pneumonia, melanomas and the vascular system. It would strengthen liver, bones and articulations. Gold would protect the body from toxins.